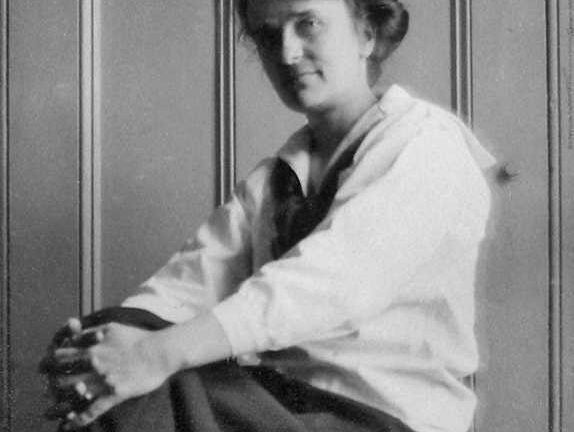 As the country moves toward the centennial of women achieving the right to vote in national elections, we profile a native Richland Countian who contribute in her own unique way to achieving that end. Unfortunately, she never saw the fruits of her work, dying at the young age of 40. Emily Hall Chamberlin was born in Shelby in August of 1875, the daughter of Vermont-born Henry and Eva Chamberlin. After some initial schooling, she became a teacher herself; the 1900 census lists her as a “schoolteacher” living with her mother and stepfather on North Gamble Street. At some point shortly thereafter, Chamberlin traveled to Brooklyn to study at the prestigious Pratt Institute. Still in operation, the school has always maintained an excellent fine arts program. After Pratt, she continued her studies in both Paris in London over the next 15 years – all despite being, as described in a tribute to her after her death, “poor, alone, and unaided” at the time. Her talent blossomed and her success grew. She opened her own studio in a recently restored building at 77 Irving Place in New York City, just a block from Grammercy Park. Her commissions were numerous and important as a book and magazine illustrator. She was asked my author Mark Twain to illustrate his piece published in Harper’s Bazaar; she also provided drawings for a book of poetry by James Whitcomb Riley. Her watercolor drawings of young children were particularly popular. There is little doubt that Chamberlin supported women’s suffrage, as she contributed artwork that is in that vein. 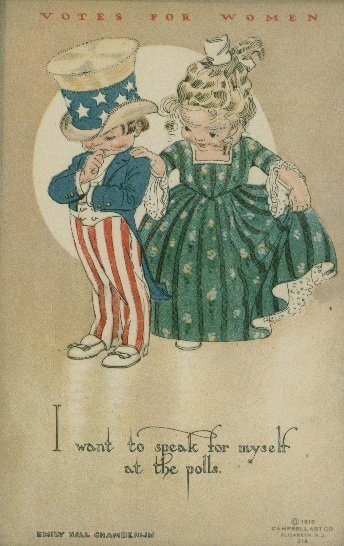 In The Suffrage Postcard Project, an online humanities initiative by Dr. Kristin Allukian and Dr. Ana Stevenson, her work is included with others published between 1909 and 1919. 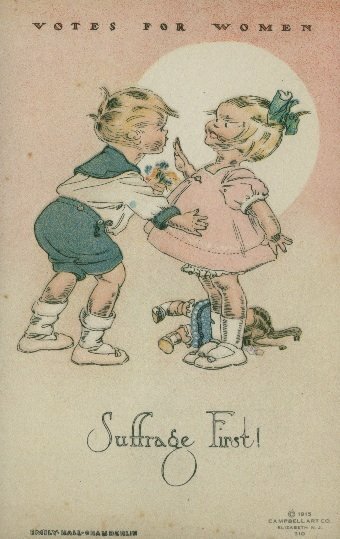 Two of those suffrage postcards with Emily Hall Chamberin illustrations are pictured here. As noted above, Chamberlin did not live to have the opportunity to cast a vote in a national election, passing away in New York City on February 28, 1916. She is buried in Shelby’s Oakland Cemetery in a family plot.